I've always wanted to sample the afternoon tea at Jesmond Dene House, it's a hotel famous for football stars, VIP's, weddings and celebrity guests and so I'd always imagined that afternoon tea there would make this wannabe Disney princess feel like a queen just for a while. 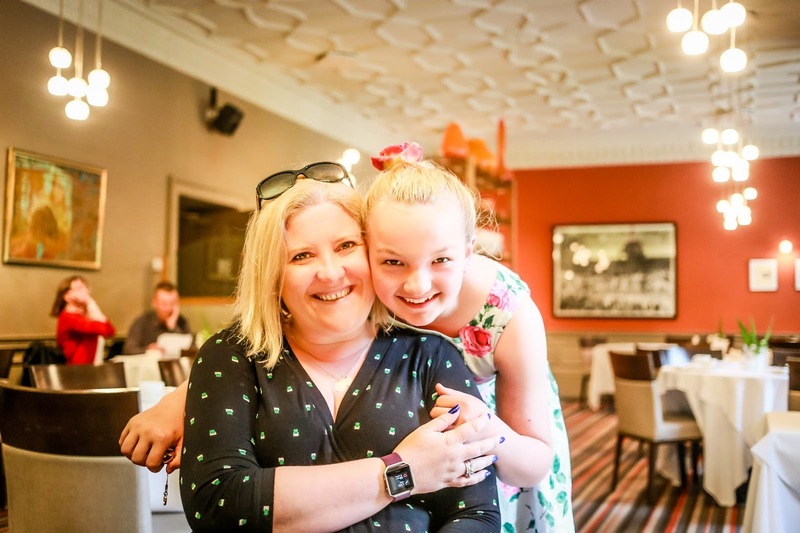 When Harriet received the invitation and asked if I'd like to go I not only jumped at the chance but also invited future Princess Looby who always likes a special "posh"occasion, it's nice to get dressed up every now and again. 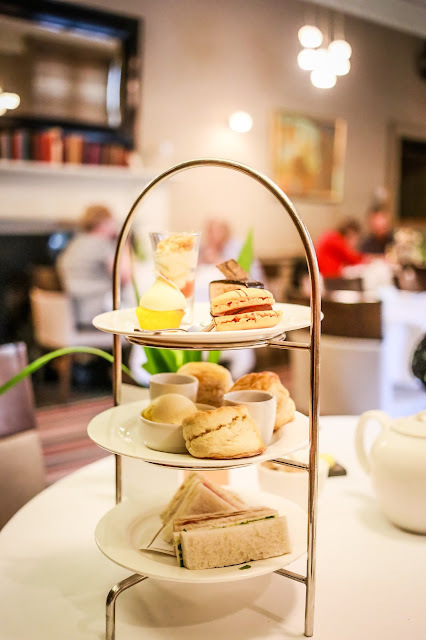 Jesmond Dene House Hotel is nestled on the edge of Jesmond Dene and only a few moments drive from Newcastle city centre, it's convenient location means it's just a quick escape from the hustle and bustle of city life. What is guaranteed is that once you arrive and take in the grandeur of this magnificent old building and it's rambling gardens and lawned terraces you'll feel the stresses and tension gently slip away leaving only calm and perhaps a tummy hungry for treats. 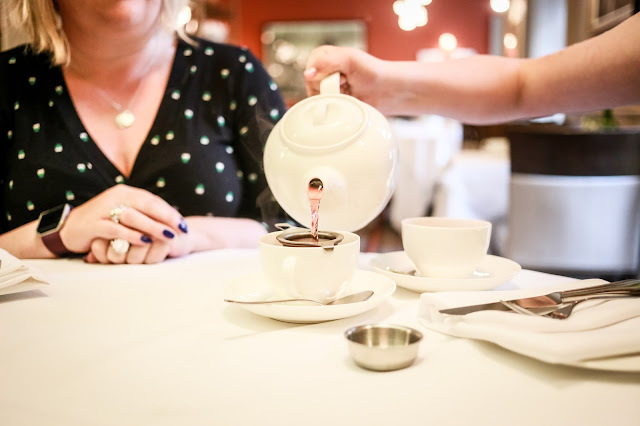 Afternoon tea is always a grand affair, it's as British as the Queen, a reminder of parties, of celebrations, and birthdays, perhaps even a jubilee or two, quite simply where other countries have a siesta in the afternoon the British go to tea. 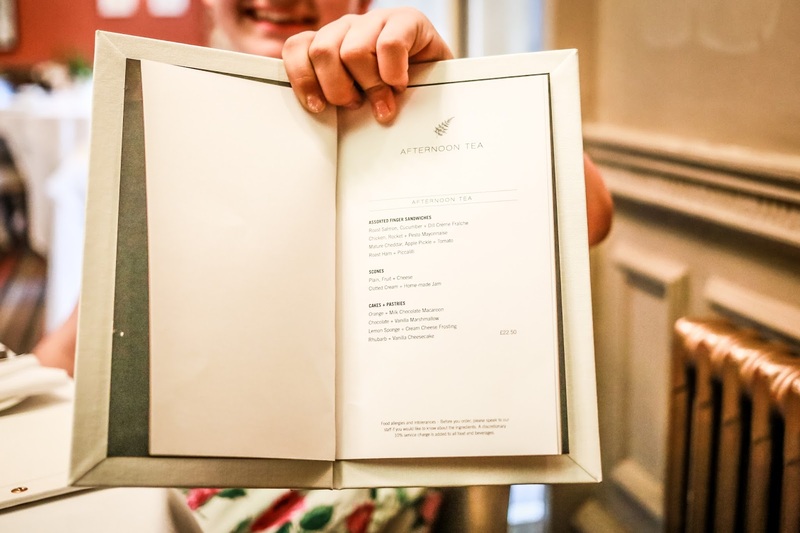 As Jesmond Dene House an afternoon tea costs £22.50 with a selection of teas or if you are feeling lavish you can add a selected cocktail for £31.50 or maybe a glass of Champagne for £35. 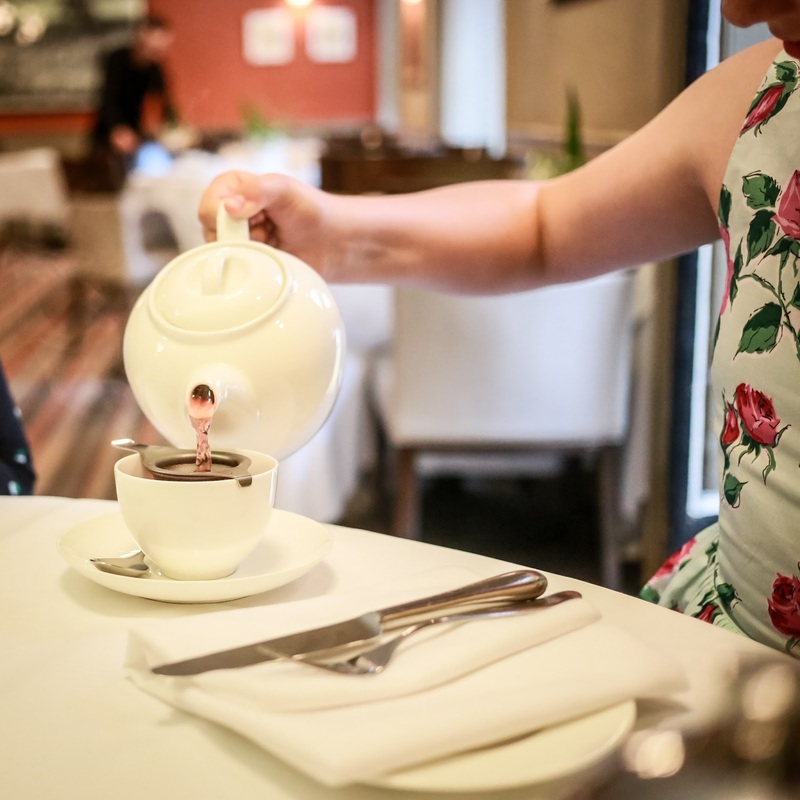 Harriet and Looby opted for a pot of strawberries and cream flavoured fruit tea whilst I refreshed myself with a pot of coffee (followed by another pot of coffee). 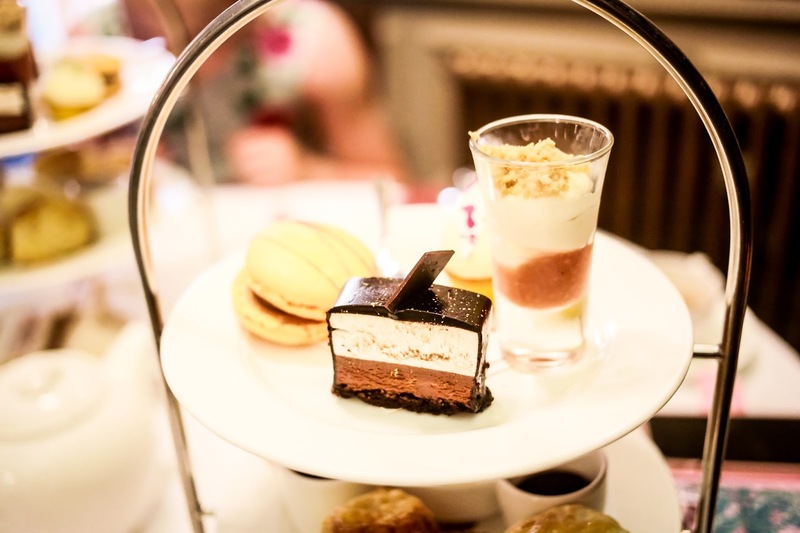 Looby gasped as the pretty afternoon tea trays were presented in front of us, tiny sandwiches, 3 scones and a mixture of the prettiest cakes guaranteed to satisfy even the fussiest of customers. You'll also be pleased to hear that if like Looby you run out of room to tuck away all the sugary goodness contained in the plethora of pretty cakes, the lovely waiters will box up your remaining uneaten cakes so you can take them home and enjoy them later. 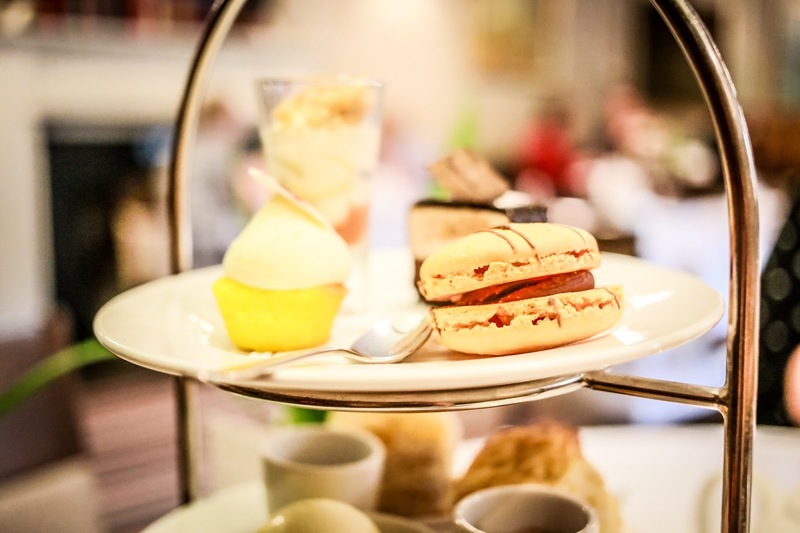 I've been to many places for afternoon tea, I can't help myself, I love cake! Jesmond Dene though measures up to the very best of them, I'd like to say that perhaps there may have been one too many cake but I really can't, if you love cake like I love cake then Jesmond Dene House is somewhere to pop on your list of places to book for afternoon tea. 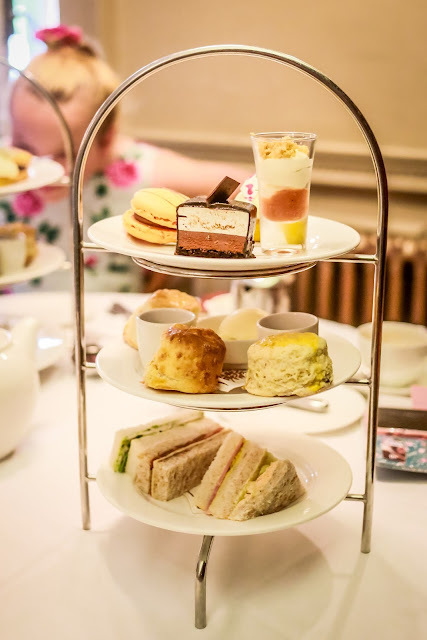 We received afternoon tea for Harriet and I in exchange for a review but as always these are my own honest views, my photographs and yes I did have to go for a run in the evening to try and undo some of the calorific damage.